Being able to look at a mistake and take away new knowledge from it requires fortitude and perspective. Basically, your students should develop a mindset that allows them to see value in failure. More importantly, they should not tie their personal value or worth to their ability to perfectly execute math problems. According to “Smarter Than We Think,” making mistakes can promote learning and even help improve intelligence. This is especially when teachers frame the error in the right way. For students to gain a new mindset about school and their mistakes, teachers have to approach errors in a specific way. The study suggests educators start by monitoring their word choice. Rather than saying, “You made a mistake here,” which could cause students to feel dread about their error, a teacher can say “I’m glad you made that mistake; it means you’re thinking about the problem, and you can learn from it.” The language you use with your students sends a message, and you want your messages to be supportive and constructive. Show how it’s done: Math teachers may seem like infallible people to students, who believe they’ll never know the subject as well as their educator. However, if you are able to make an error, correct it and teach about it, you’ll help your students feel more comfortable with their own mistakes. Add some examples into your lesson in which you make a mistake, then use the opportunity to ask students what went wrong. Make mistakes commonplace: Many people fear the unknown, and if mistakes are rare, they could become a foreign, and thereby scary, concept. 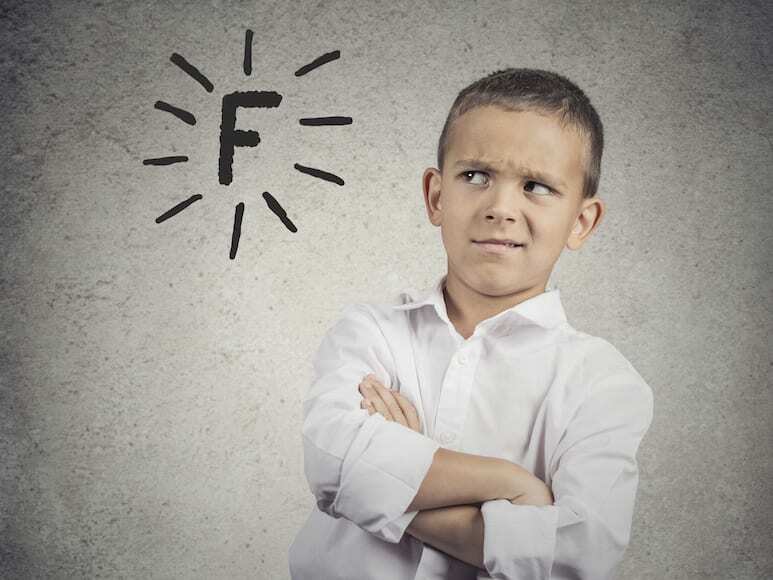 Shine light on mistakes, making them a normal occurrence in class, to show students that errors are no big deal and definitely not something to fear. Create opportunities: Not only should you make mistakes common, but you should also allow your students to make them. Set up difficult problems they can try and ask them to give it a whirl. To learn more tips for changing the mindset of your students and the culture of your classroom, check out our book “Smarter Than We Think.” This resource talks about mistakes students make, as well as other topics regarding students, teachers, leaders and families.